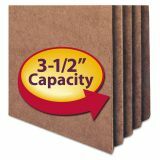 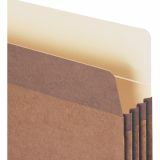 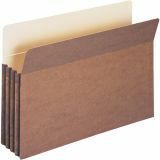 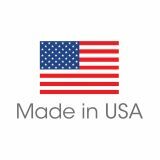 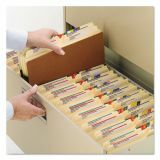 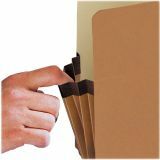 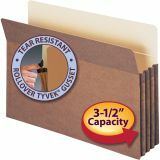 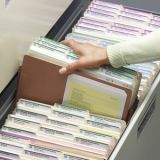 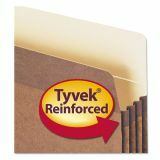 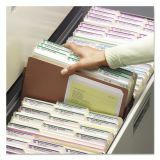 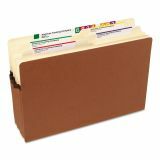 Smead 3 1/2" Expansion File Pocket, Straight Tab, Legal, Redrope/Manila, 50/Box - Sturdy file pockets are great for managing bulky records. 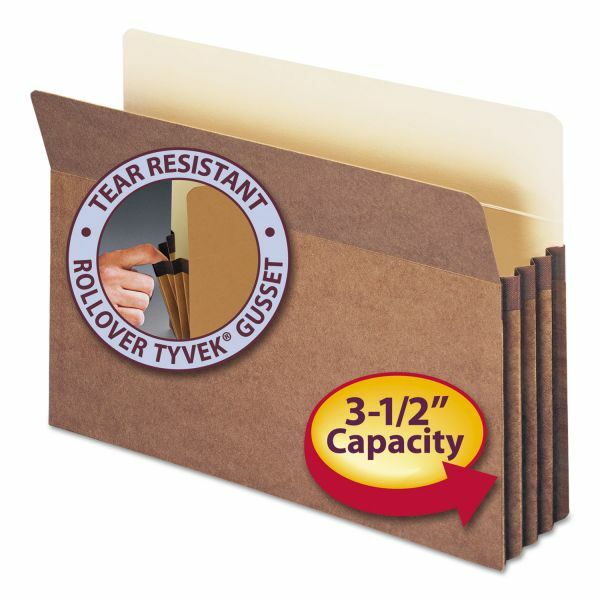 Rollover Tyvek reinforcement at the top of the gusset makes the sides of these pockets virtually tear-proof. 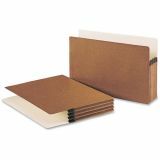 Other features include a straight-cut tab, rounded top corners in front and back, 6-1/2 high redrope gussets, double-thick 9 point redrope front, rolled edge construction and 12-1/2 point redrope back with 11 point manila liner.